Whether you’re planning an intimate gathering for immediate family members or a large affair for up to 300 guests, your rehearsal dinner in Dallas will set the tone for your wedding and reception. With its warm, inviting atmosphere that combines authentic ranch décor with understated elegance, the private dining rooms in the Dallas Y.O. Ranch Steakhouse offer you a venue that sends the message you want your guests to feel cherished, pampered and comfortable, all while enjoying some of the city’s finest cuisine, cocktails and wine. Located in the downtown district in the Big D’s historic West End, the Y.O. Ranch Steakhouse boasts several unique private dining rooms to ensure that you’ll find the ideal selection for your wedding rehearsal dinner in Dallas. Each space is equipped with discreet audio and visual equipment so that you can entertain your guests with slide or video presentations. Our event concierge is available to work with you to select the perfect menu for the affair, with your choice of beverages served from a private bar. With its soft lighting, wood furnishings and rustic decorations, the cozy ambiance of the Windmill Room is perfect when your rehearsal dinner ideas in Dallas revolve around creating a casual and comfortable atmosphere for those closest to you. Seating up to 40 guests for dinner, the Longhorn Lounge is an intimate but lively setting decorated with authentic artifacts from the Y.O. Ranch, including spectacular antler chandeliers and sconces. 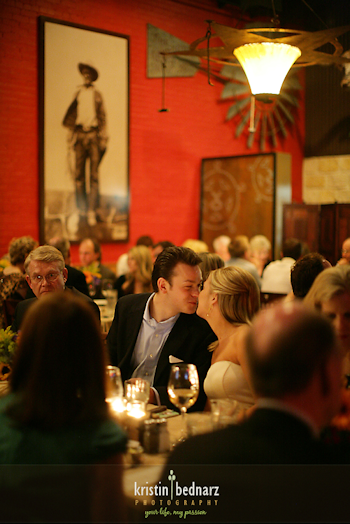 For larger rehearsal dinner locations in Dallas, The Hill Country Lodge is ideal. Designed to recreate the charm of a rustic Texas lodge, the Lodge features barn-style doors that can be opened to expand the space into other private dining rooms, creating a venue that can accommodate up to 300 people for your wedding rehearsal in Dallas. Additionally, the entire Y.O. Ranch Steakhouse restaurant in Dallas is available for rehearsal dinners seating up to 275 guests or for cocktail receptions for up to 350 people. Whatever the size of your wedding rehearsal dinner, your wedding party will experience the cuisine that inspired Jim O’Connor of the Food Network to rate the Y.O. Ranch Steakhouse as “one of the nation’s finest steakhouses.” In addition to our unparalleled selection of steaks and wild game, we’re also known for our scrumptious fowl, fresh seafood and mouthwatering desserts. Each of our private dining menus comes with multiple appetizers, entrées and desserts to ensure that every guest enjoys an unmatched culinary experience. When you’re searching for the ideal rehearsal dinner venue in downtown Dallas, why not choose a location guaranteed to please? The Y.O. Ranch Steakhouse offers your guests a dining experience that can’t be rivaled in a warm and inviting atmosphere that will put everyone at their ease. Set just the right tone for your upcoming wedding in Dallas by reserving one of our private dining rooms for your rehearsal dinner today. Michael Street, your event concierge, is available to help you create a truly memorable rehearsal dinner that will delight your guests. Contact him or call him at 214-389-0981 today.